“Sticks and stones may break my bones, but words will never hurt me.” We have all heard this at one time or another. The ironic part about this statement is that as soon as someone told this too us we probably thought that they were lying. Someone’s words, or language, had just done some real damage to our character and our pride. If language did not hurt people then we would not see people committing suicide from bullying. Most of today’s bullying is probably not physical. It is through spoken or written language. However, there is another aspect of language that we can take a look at. Besides the fact that our words have the ability to hurt people, what about in our own personal lives? Bad language, or swearing, is something that is more or less accepted in our culture. It is more culturally acceptable to tell someone to f— off than it is to call them gay. Again, this is an example of an attack on someone else. What if we are simply swearing to ourselves or in private? No one else is around. Perhaps we stubbed our toe, or we got sniped from a camper for the seventh time in a row in a video game. Is this use of language fair game or should we also watch what we say when no one is looking? I cannot think of the last time that I have used what I would consider (more on this concept later) foul language in front of another person. It is something that I have almost entirely rid myself of doing. This does not mean that I might not call them names or pick on people; it simply means that I have not used words that I would consider to be bad. However, my language when I am away from people can be much worse. For example if I am driving alone and there are some other terrible drivers on the road, I am much more prone to profanity. While I do not have as much time to play video games as I used to (especially Call of Duty and Halo style games) when I was playing them a lot I would often use less than desirable language. Not into the microphone system, just out loud and the only person that could hear me was myself – and God. Is there anything wrong with this? Most people would probably say no. My language is used out of anger, but it is not really hurting anyone. It is venting my frustration out loud. Some people would say that what really matters is the attitude behind the language rather than the words themselves. To some extent this is definitely true. However, to another, I wonder if we are genuinely called to a higher lifestyle. It is our culture that declared that certain words are profanity and others are not. 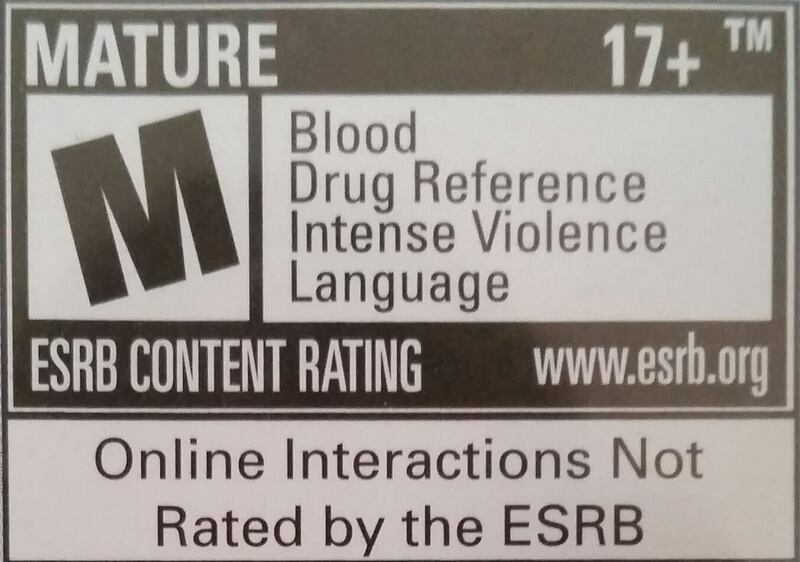 There has to be a committee somewhere that determines what words are going to be determined as “mature.” One of the reasons that video games and movies are not rated E and G is that there is language involved in the content. Oh GOSH! There are totally people talking in this game. Language? That is a very broad term. What it is really saying is that there are words used in the game that have been considered by most people to be adult in nature. However, who determined that these words were bad? It is just a word after all. To get away with it we have created words that have almost exactly the same meaning behind them but are generally okay when people say them. We say crap, shoot, dang, freaking, fudge, gosh, and other words that are really close to the words that we are not supposed to say. Really? Is this actually any better? According to society, it is. The attitude behind this language is often the same. It is said out of frustration or describing something negative or said out of some kind of shock. Personally, I do not see a problem with this. Language is something that we have to use in order to communicate with people. Some people might say that it is a lack of creativity and vocabulary, but that is just an excuse made by someone who is offended by our language. This leads to another problem. Here is the thing, as Christians we are called to be completely different from the world. I think that this applies to language as well as anything else. The Bible simply says to let no unwholesome talk come out of our mouths. Unwholesome may be defined by society, or by the people we are finding ourselves living next to. However, unwholesome also has to do with the attitude in which we use language. This is evident in the Bible. The verse itself provides some clarity to the issue. It does not end with preventing unwholesome talk from coming from our mouths. Instead, it continues by saying we should only say things that build people up according to their needs. This means that we are supposed to be encouraging people, not tearing them down. This means that we choose to use language that promotes Christlike attitudes among people. Really, it means that we are just supposed to be nice to people. When we are using language that is considered to be strong this is not building people up. It comes down to what would Jesus say. I believe that Jesus would not use language that culture has determined to be “adult” in nature. Everything he spoke was truth and love. He would have used language that was considered appropriate when making a strong point. Christians are supposed to be the light of the world. They are supposed to stand out and be members of society that are shining in the darkness. We can be above rough language. We can be people who spread love as Christ did. However, the words that we choose to use can affect our ability to do so. If you are someone who does not see anything wrong with swearing, ask yourself why you feel that way. In what way does it actually improve you as a person and as a child of God? Would it be better if you only used words that would be appropriate in front of women, children, and God himself? At the very least, I think it is something to think about. Do you swear when you get angry? Check out this post.